Looking for authentic western cuisine? 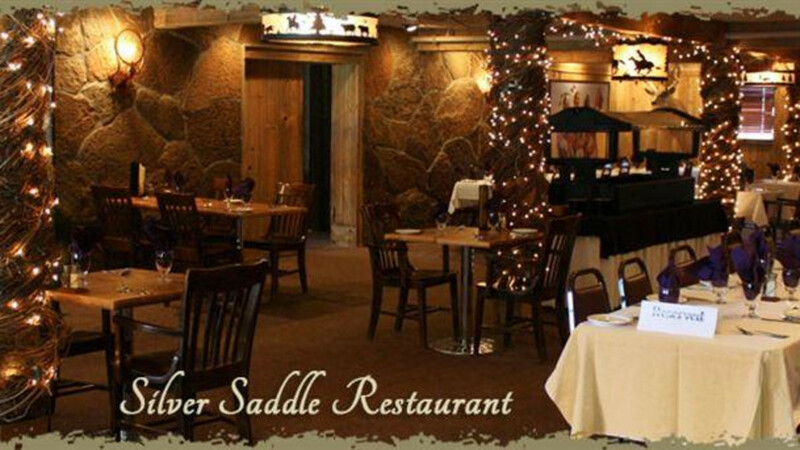 The Silver Saddle Restaurant at the Saratoga Resort and Spa offers a variety of delicious gourmet entrees such as Black Angus Beef, Bison, and Venison Meatloaf, Grilled Elk Lettuce Wraps and Black Angus Cowboy Steak! Plus tasty appetizers and decadent desserts. Start your day with the Sunrise Express Breakfast Bar, where you’ll find assorted pastries, seasonal fruit, yogurt, hot or cold cereal and more. Or perhaps a hearty dish from the breakfast menu such as a breakfast burrito smothered in our famous green chili and omelets prepared any way you like ‘em. On weekends, treat yourself to an extensive Brunch Menu featuring Shrimp Benedict and house-made Cinnamon Rolls.